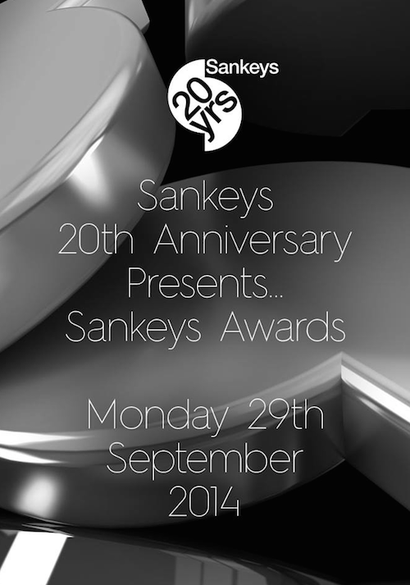 Following the success of Sankey’s 20th anniversary, alongside their best season to date, Sankeys Ibiza will continue to celebrate their achievements by hosting their very own awards ceremony, which will take place on Monday 29 September. This summer Sankeys have had more than 200 DJs playing at the club, offering up differing sets of electronic music week after week, and this Award Ceremony is deigned to represent and reward the artists who play forward thinking music. Taking place at Sankeys Ibiza, playing at the event will be a selection of award winners who will be chosen by those who vote. An array of awards are up for grabs including Best Resident, Best Newcomer, Best Club Night at Sankeys as well as a few awards chosen by the Sankeys’ team itself. In addition to this, there will also be awards for Sankeys Outstanding Contribution and Best Sankeys Essential Mix of All Time. Those who vote will be entered into an automatic prize draw to win a season pass to any Sankeys club around the world. To see this year’s categories, click on the link below.